It has been found that poor air quality is one of the common causes why we acquire various diseases. Staying indoors does not eliminate your chances of having poor air quality, in fact, air pollutants and allergens are mostly found on home furniture such as carpets and even on your pets. To help solve this, air conditioner filters should be installed to catch air pollutant particles that can trigger or worsen respiratory diseases. Brands such as 3M, Honeywell and Filtrete air filters are popular in the market as these works efficiently in cleaning indoor air by up to 98%. How does an air filter work? The equipment is usually installed right next to your furnace or through the use of an air conditioning system. Air passes through the filter repeatedly to “filter out” the air. Dust, molds, fibers and various organic pollutants remain on the filter which needs to be replaced or cleaned from time to time. 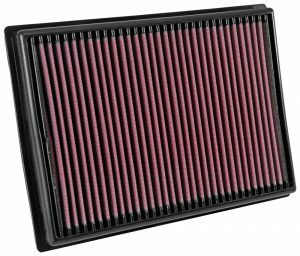 What happens when you forget to replace or clean your filter? When the filter is filled with dust, air flow is restricted resulting to having the fan motor work more and consume more energy. If left at this condition, the filter will not work the way it is supposed to leaving the air dirty and worse, having an equipment failure. Always check and maintain your air filters by washing or replacing it every thirty days.